Smithee Zombie Hunter - Knitting Knot For Me! It was fun transforming my hand into a wolf’s hand in that panel. 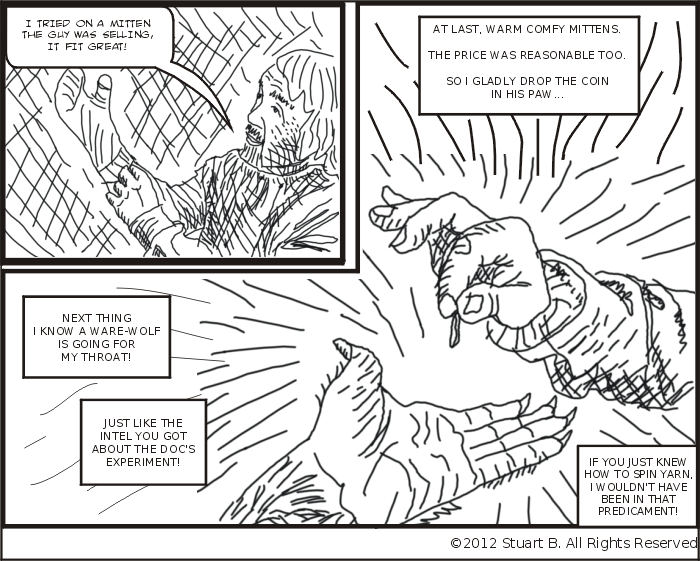 I’m currently in development of the second issue in the story and am gearing up to draw the wolf-man mitten salesman.Goodie! I can be an impatient person, and learning to knit so far has alluded me. But if your curious, check out instructions ->here. 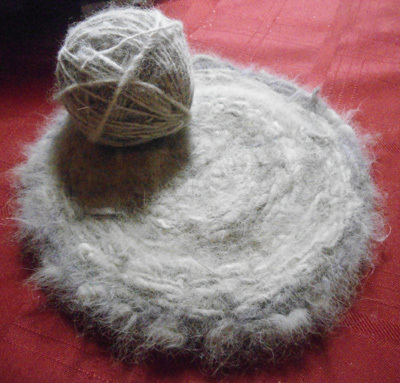 I have actually made yarn from dog fur, but instead of knitting it, I wove it into a creepy round place mat thing. When people see it and I tell them what it is made of, either they are creep-ed out, or think it is REALLY cool! What do you think?